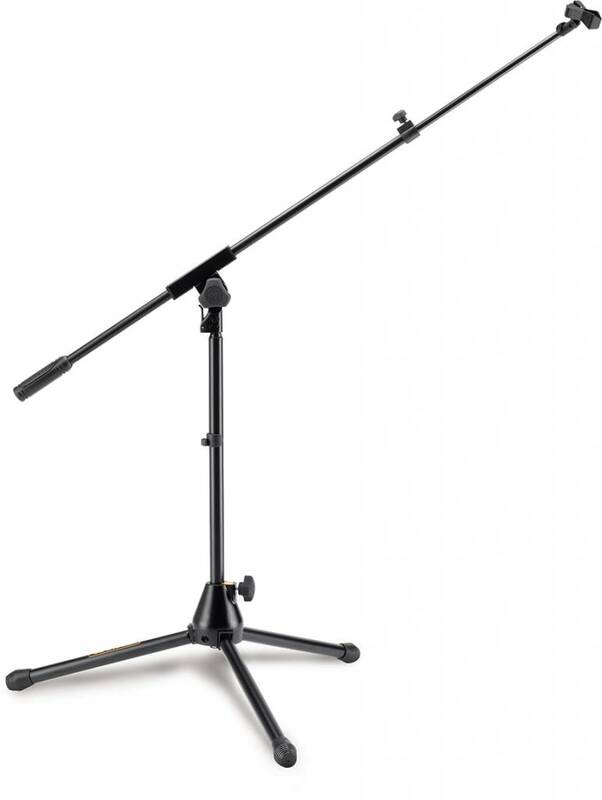 The Hercules MS540B Low Profile Mic stand with Telescoping Boom is ideal for drum and amp microphone applications. 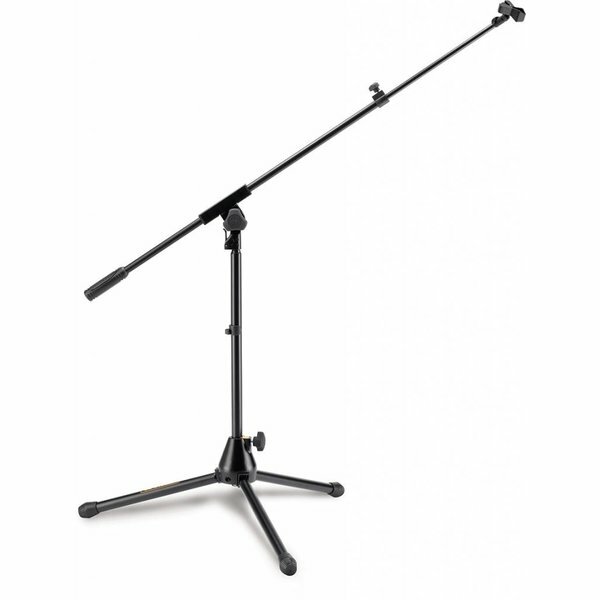 This stand also features a folding Tripod base. - Base radius of 12.8"
- Boom length of 30.7" to 48"